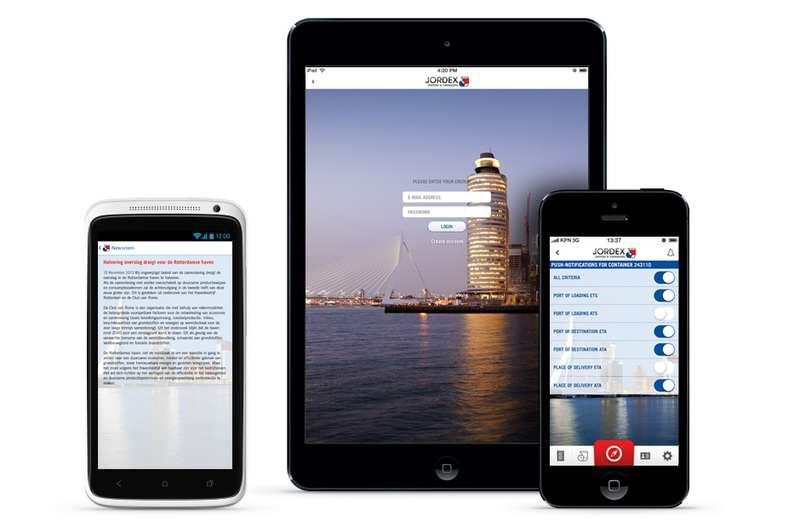 iPhone, iPad & Android app Jordex is a logistics company and specializes in seafreight, airfreight and ground transport. The Jordex Track & Trace app gives clients of Jordex the ability to follow their shipments around the world. On any given time a status of a shipment can be requested. The app is an extension to the website where a similar system is in place. Clients of Jordex mostly have clients of their own who request frequent status updates. The website was a first step to fulfill the need but it doesn’t quite connect to the mobile context. Besides that the current website doesn’t send notifications to users who want it, the apps we developed make this possible. Data can be requested directly from the systems of Jordex. Data like estimate time of arrival, actual time of arrival, ports of loading and so on. Every of the different aspects of the data can be setup to send notifications when it changes. 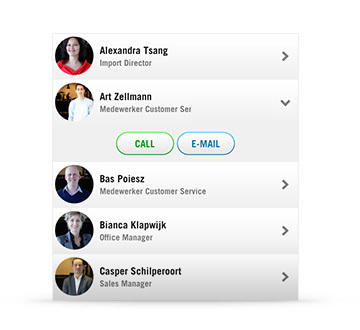 Because of the different contexts of use (in the office and on the go) we created a universal app. The apps is build for iPhone and iPad and we made a translation to Android smartphones and tablets as well. The design of the smartphone and tablet app we created are tailored to the different devices.